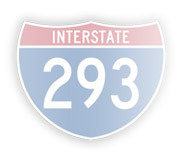 Interstate Route 293 is a major, north-south, arterial circumferential highway extending through and around the City of Manchester. It also functions as a local connection to Interstate 93 (north and south), NH Route 101 (east and west) and US Route 3 (F.E. Everett Turnpike south to Nashua and into Massachusetts) and thus providing critical accessibility and mobility within the greater Manchester area as well as throughout southern New Hampshire. Part C consists of the preparation of final design plans. 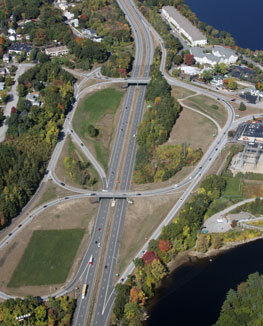 The Part A planning-level study, which was completed in December 2013, evaluated potential broad transportation system changes and established a range of practicable alternatives aimed at addressing capacity and safety related deficiencies along I-293 and at the Exit 6 and Exit 7 interchanges. The study also considered relocating and reconfiguring Exit 7 into a full directional interchange. The Part B study schedule extends through May of 2018. The New Hampshire Department of Transportation (NHDOT) actively seeks comments through a public participation process. Learn more about Section 106 of the National Historic Preservation Act in New Hampshire and how to take part in a Consulting Party.